New Delhi: Luxury sports carmaker, Aston Martin on Friday launched the new Vantage in India at a price of Rs 2.86 crore. 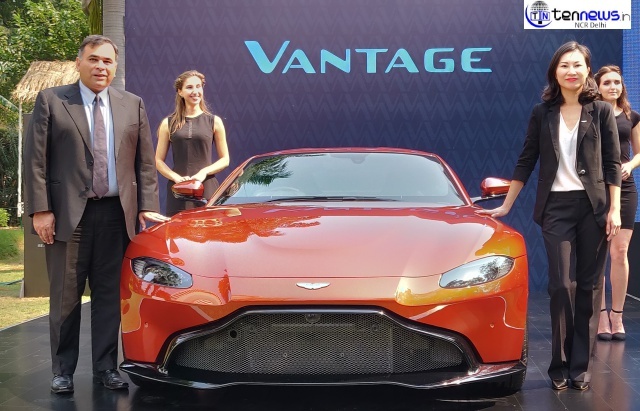 Ironically, at close to Rs 3 crore, the 2019 Vantage is the cheapest Aston Martin in India. First used in 1951 on a high-output engine option for the DB2, Vantage was quickly established as a model in its own right. Highlights include the William Towns-designed V8 vantage, spectacular twin-supercharged V600 Le Mans and the much-Ioved V8 Vantage. “Vantage is a car that’s never less connected and engaging with the breadth of capability to revel in challenging roads and bare its teeth on the track this is the essence of the Vantage driving experience. A true sports car with a sharper look and a keener dynamic edge, the new Vantage is the Aston Martin pure driving machine that the enthusiasts have been waiting for,” Added Chen.